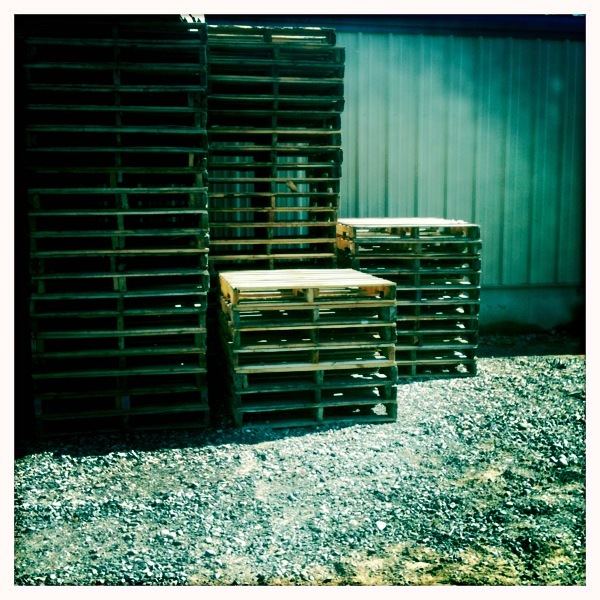 + Pallets at our packing shed. A picture from my walk. I'm feeling a bit bummed because I twisted my ankle on Monday and my ankle is swollen and sore so I haven't been able to run on it, only walk. Trying hard not to get too frustrated, but right now I would like to punch something! + Thanks to all of you who have purchased tickets to the concert, and who helped spread the word. I appreciate it so much, and I am so excited to shimmy to Mindy's music with you all. *** There are still plenty of tickets left, so please SPREAD THE WORD! People who don't blog, or facebook, or tweet may still not know about the concert, so word of mouth is awesome, and e-mails to friends and family are encouraged! Buy your tickets HERE! Oh, and I am working on arranging an awesome opening act, so stay tuned for that info! + This concert will be family friendly, it will also make the perfect date night with your spouse. Please come and join us! I've heard of several of you bringing your daughters, some of you are bringing your husbands. I will be there with my entire family! I can't wait! + I saw the sneak peak of Chelsea's latest makeover. This time it's a teen makeover and Genny is beautiful! Can't wait to see the full reveal, you should definitely check it out too! + Tonight I am teaching the Mia Maids [a young women's group aged 14-15] how to make these Chicken Pot Pies that Danyelle shared recently. We tried them last week and they are A-M-A-Z-I-N-G! It's an absolutely perfect recipe. Should be lots of fun. + There's just a couple of days left to enter this month's mix giveaway. Winner will be announced Friday! Have a lovely Wednesday friends!